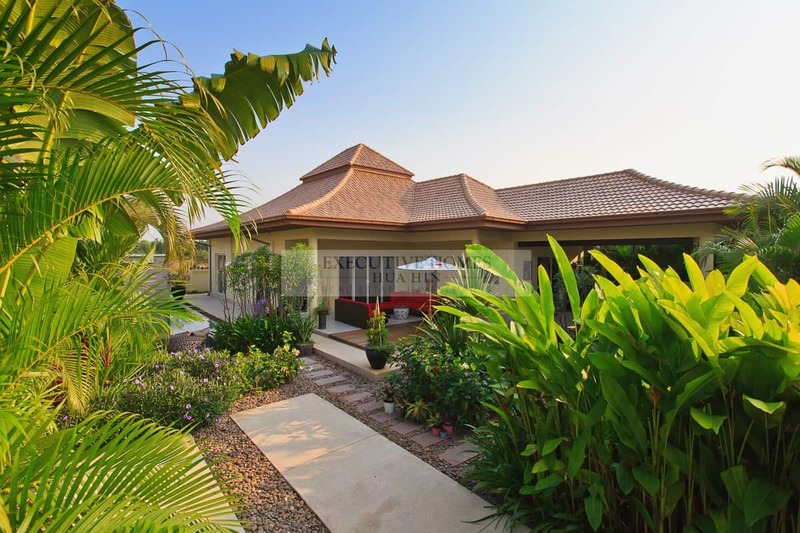 This is a 3 bedroom Orchid Palm Home for sale in Hua Hin. 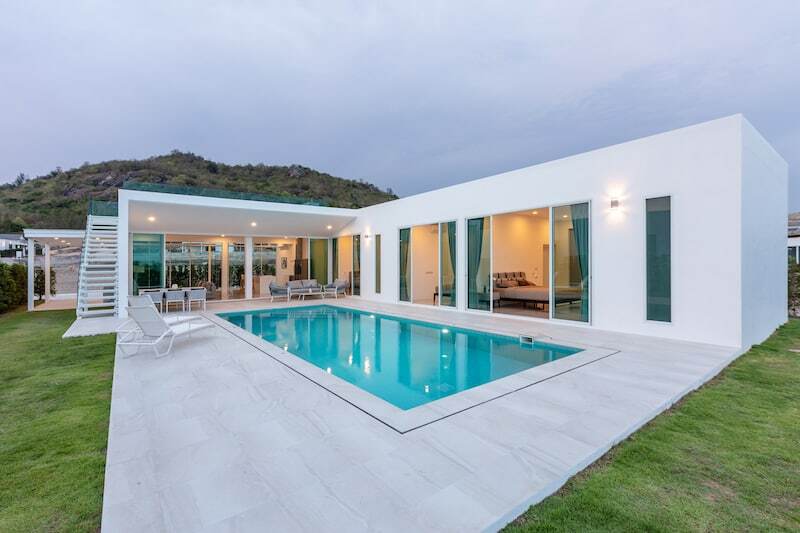 Located approximately 10 minutes from central Hua Hin, this private pool villa is perfect for those seeking a high quality, modern home within a luxury, gated community close to amenities yet set in peaceful, natural surroundings. 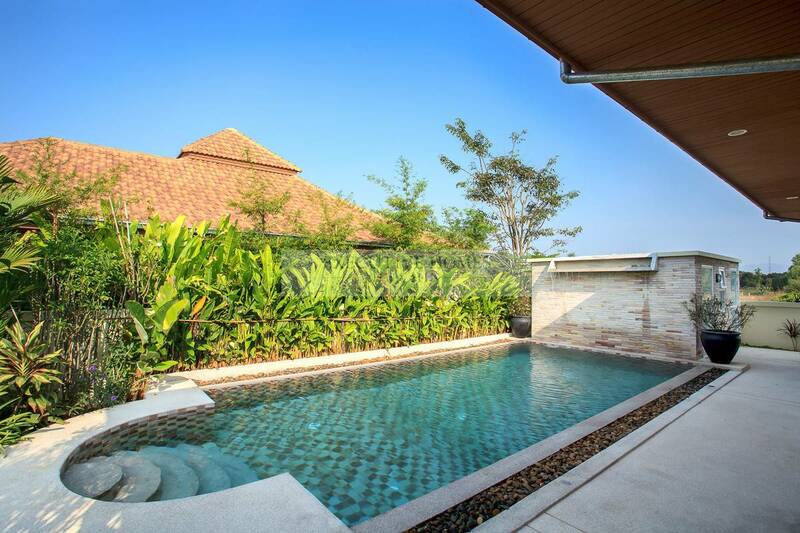 This lovely property was designed and constructed by a popular Expat developer who has won multiple, prestigious real estate awards from the national Thailand Property Awards. 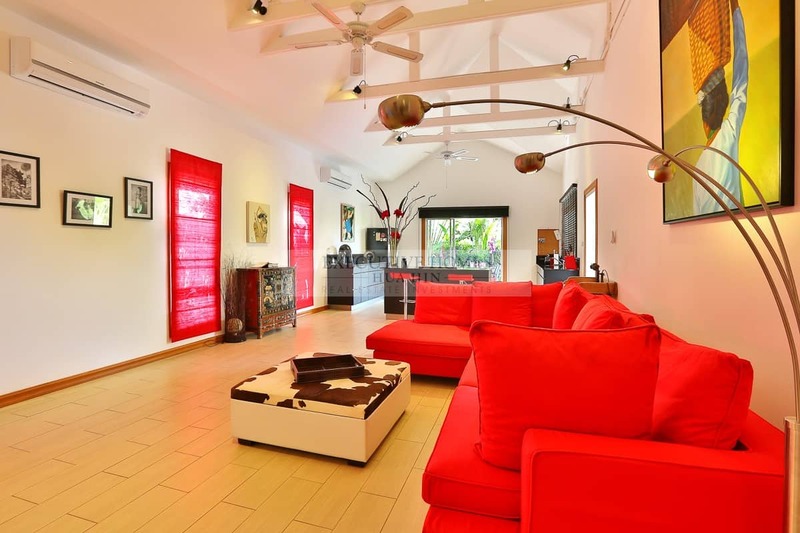 The home has an artistic and professional sense of space and design and was customized with vaulted ceilings throughout and many extras and upgrades, providing the home with a sense of grandeur, quality and open space. The modern kitchen was upgraded from the original specifications and was built and installed by Kvik, equipped throughout with high quality appliances, high gloss cabinets, and granite countertops. The efficient kitchen design allows for easy movement and good flow, and was intended to be the center of the house, perfect for social gatherings and entertaining with easy access to the covered outdoor terrace. Directly off of the kitchen is a large, covered dining terrace, nestled within the lush and mature gardens. A second covered terrace overlooks the 10 x 4 swimming pool and additional garden space. This second terrace area is primarily used as a lounging space for relaxing by the pool; both covered terraces have ceiling fans for added comfort. 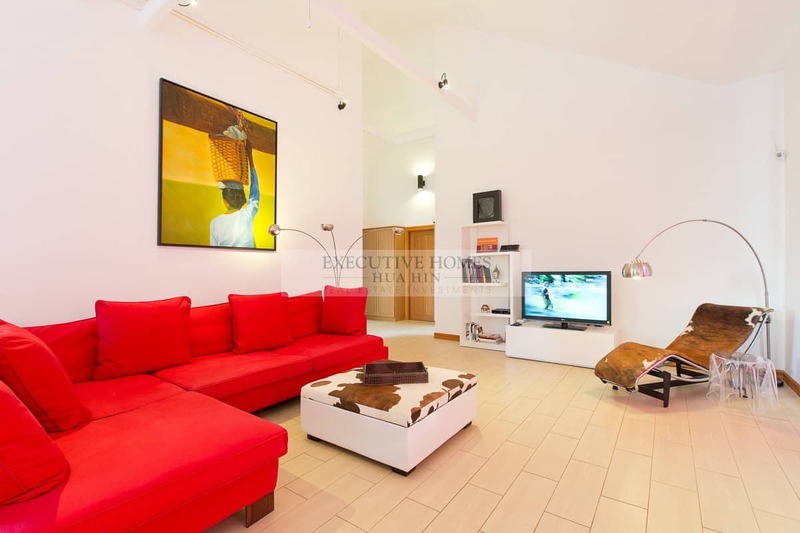 With 3 large bedrooms, 2.5 bathrooms, open plan living areas, multiple covered terraces and a luxury kitchen space, this house has all the necessary conveniences of a luxury villa. 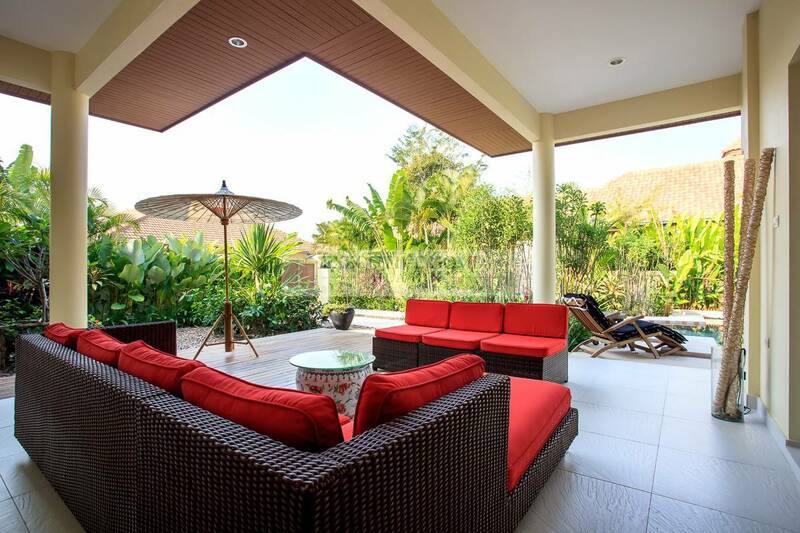 No other villa within Orchid Palm Homes can compare with this unique and efficient design and all the upgrades. 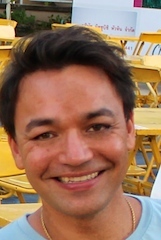 The price is well below what other re-sale homes of comparable value are listed at. 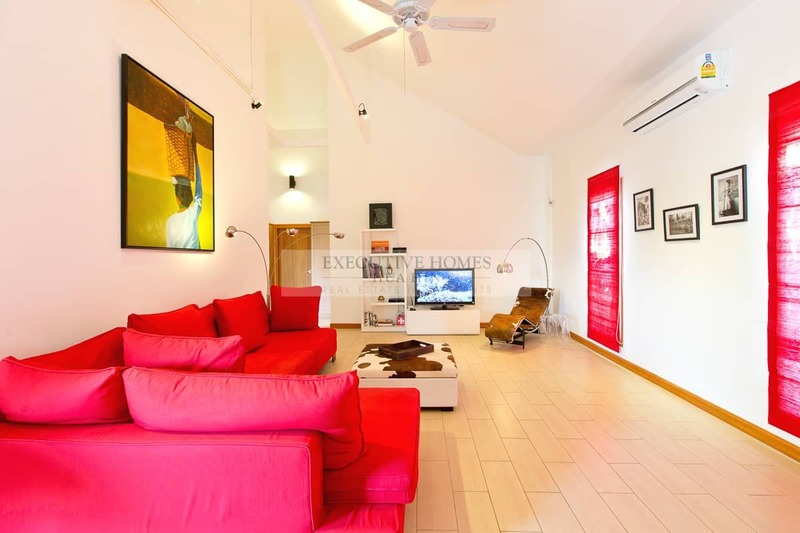 This is a home definitely worth viewing!! 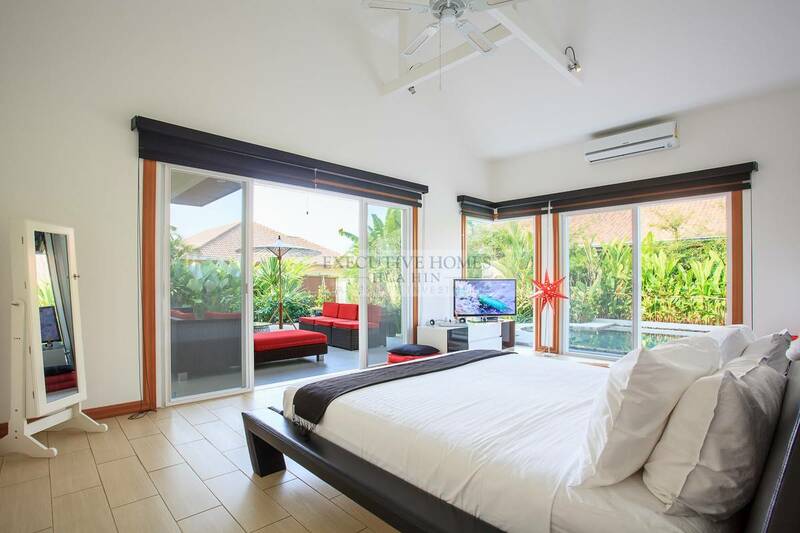 The master suite is well designed to capture a lot of light throughout the day, while overlooking the private pool and terrace. Each of the 3 bedrooms has built-in wardrobes. The bathrooms are all modern in design with upgraded materials, including high-end fixtures and fittings and upgraded floor and wall tiles. The villa is outfitted with a professional alarm system with SMS alerts directly to your phone. There are ceiling fans, fly screens, and AC units throughout, but the constant mountain breeze keeps the house naturally cool. There is a separate maid’s room with en-suite bathroom, as well as a utility room with extra storage space. 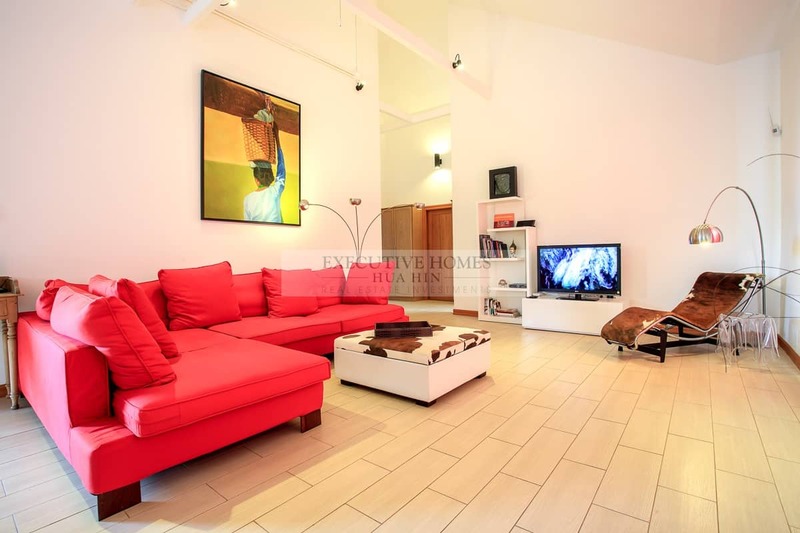 The house has been designed with a priority on low maintenance and can be easily managed, perfect for someone looking to use the home primarily as a holiday or investment property. 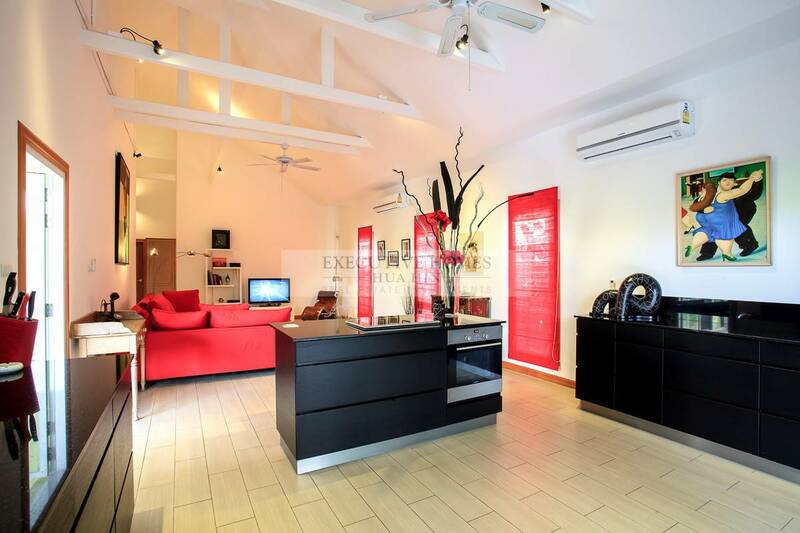 The house is currently owned leasehold, but can be transferred freehold if desired. 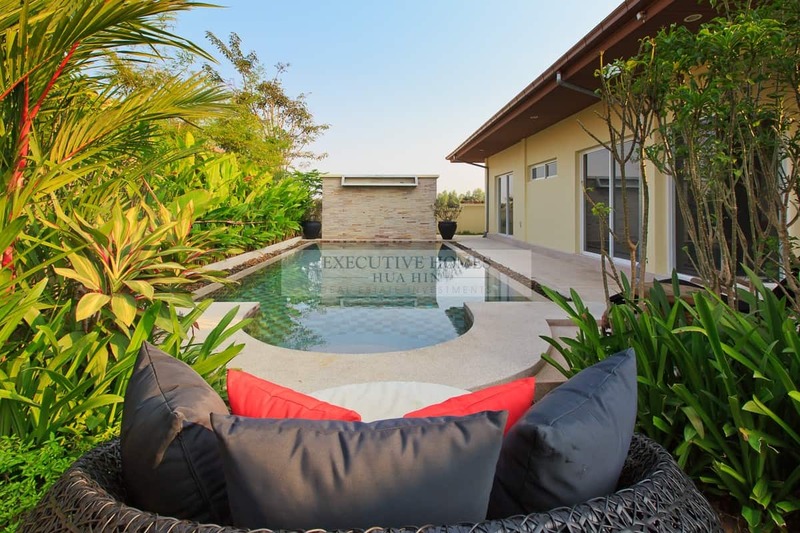 For more information and to schedule a viewing of this Orchid Palm Homes Hua Hin house for sale, please contact Executive Homes Hua Hin at +66(0)85.264.2158.